Andreasen A. Marketing social change. San Francisco, CA: Jossey-Bass, 1995. What is social marketing? Why should we care? The first time I heard Griffith University’s Sharyn Rundle-Thiele present on social marketing was in Perth, at Murdoch University. She was one of the guest speakers at an Australian Association of Social Marketing event presented by Perth-based social enterprise Marketing for Change. You may recall that Marketing for Change supported HCC to undertake community consultations for the Sustainable Health Review. The first thing that struck me as I waited for Sharyn’s session to begin was how different the audience was from my usual work-related presentations. There was not one WA Health Department staff member in the audience, but there were many local government agencies. What also struck me about her presentation was not just how well-polished it was, but also how Sharyn was channeling and mobilizing among a new generation of students under her watch at Griffith a passion and capacity for co-designing social marketing messages with the very people the messages are designed to move. The message that really landed for me in listening to Sharyn that day in Murdoch, was that the traditional preventative health leaflet will at best change behaviours for about 7% of those that read it. There was so much room for improvement, and the answer it seemed was not just better segmenting the message for those different audiences, but working with those audiences to make sure the messages land and wherever possible working beyond mere messaging to give people alternatives and not a message telling them what they ought to do. 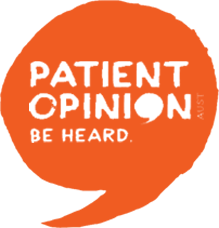 As a consumer advocate who spends so much time trying to ensure the consumer voice is at the heart of our health service planning, this new world of public health messaging is a whole new frontier that consumer advocates needs to be aware of, and perhaps most importantly be taking a lead role in. It seems that there is a unified cry across Australia that more needs to be done in preventative health. Now it is up to consumers to ensure that preventative health is “done with” and not “done for” people. 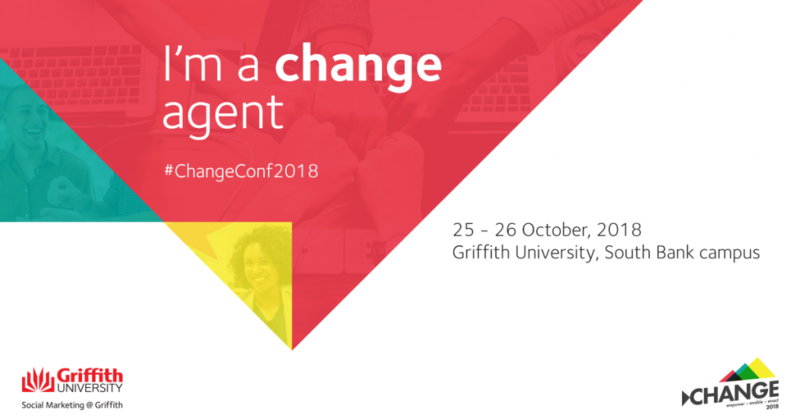 This introduction to Social Marketing in Murdoch encouraged me to self-fund to attend a unique event at Griffith University – Change 2018. Over two days in October this year, I sat in a lecture theatre in Griffith University, a lone not for profit consumer advocacy professional in a sea of marketing professionals and consultants, academics, policy makers and government purchasers of social marketing. I’m used to being the odd one out. I sat up the front and listened over two days, and as an outsider to the field, I took away some key insights to place social marketing squarely in the frame of a key tool to empower consumers in preventative health. Some of the presenters were refugees from the world of commercial marketing. One noted that she threw in the towel as a marketer after she baulked at marketing alcohol to teenagers. The reality is, we all know that marketing techniques work. What would it look like if we used these powerful tools for good? 2. Is there a problem? What actually is the problem? The opening presentation by Professor Gerard Hastings used the story of the man whose lovely friendly Labrador dog turns up one day with the neighbour’s very dead rabbit in his mouth. This very neighbour is off on holiday and has charged the dog owner with looking after the garden, bringing in the mail etc. The very dead rabbit looks very much the worse for wear from the Labradors burying and digging up, so is washed and put back into his cage. When the neighhbour returns from holiday he is very thankful about the care and maintenance of the yard and post. He is just a bit surprised that the rabbit which had died just before they had left and had been buried in the back yard somehow magically appearing back in his cage. The point is, sometimes there is a strong belief there is a problem to be solved-but more informed research would have helped the Labrador owner to know there wasn’t a problem at all. This is one of marketing’s strengths – research that listens and learns in contrast to research asks and tells. 3. Marketing has many tools. Use them all! Different presentations addressed the four Ps of traditional marketing (product, placement, promotion, price). A great case study was presented of a partnership project between a school and a local supermarket, which matched lessons for primary school students in diversifying the fruits and vegetables that families ate with low-priced produce which allowed the children to try different fruits and vegetables for themselves. The idea was that once the children had a chance to try the different tastes, they would continue to eat them, and meet the goal of diversifying the fresh foods that kids eat. The point of this is – that while social marketing is most definitely not all about promotion, there are opportunities to consider how to use products, prices and placements to continue to nudge behaviours towards more positive, life-affirming ones. Having said that, the key principle is that good social marketers work with end-users to identify the best intervention mix. Often, promotion isn’t even a part of it. The disconnect between policy makers in cities and the regional citizens they are hoping to influence can be enormous. A cane sugar farmer described how he personally had moved from a position of being vehemently opposed to any kind of change to the farming practices that had served his father and grandfather. It was the ability of the government representative to build a personal relationship, share the data about how less fertilizer and greater sugar yield would mean more profit for him, and a persistence to partner over the long haul as the successive crops proved the data right that helped create a community champion. The shift in attitude by this cane sugar farmer then caused a ripple effect that is continuing to extend across Queensland and into WA today. Several presentations highlighted how government in particular are keen on social marketing campaigns which frighten people into better behaviour, and preferably include as many statistics as possible within the 3-minute advertisement. This can lead to a significant expenditure on campaigns which just don’t work. Focus groups – are these on the nose? Focus groups came under some criticism in terms of both their lack of diverse participants, and their tendency to ask people “what else would you like?” Being asked this open-ended question, and being in receipt of a nice morning tea and a voucher can lead people to feel they need to provide extra feedback which can dilute the social marketing message, creating a camel campaign doomed to failure. • Doing to vs doing with – the mantra “nothing about us without us” applies just as well in social marketing as it does on health consumer advocacy. • Expert driven – to citizen led. Social marketers and other experts can never be experts in someone else’s world. • Government driven – to on the ground/community led. No more fear-based, statistic-heavy expensive interventions! • Solos to partnerships – thinking creatively about not for profit, government, academic and commercial partnerships can create a more effective campaign that leverages all the concepts of promotion product, preplacement and price. I attended this conference because I thought there was something important on the horizon with our state’s likely increased focus on preventative health. I wanted to understand more about what social marketing could and should be for Western Australians. I left the conference more convinced than ever that this is a key tool to support creating a healthier society. As always, the key needs to be involving consumers from the beginning, and all the way through any initiative or campaign. Consumers Health Forum has been funded by the Australian Digital Health Agency to run a series of free webinars on My Health Record. You can register for them here. The webinars are just under and hour, and are available on replay on the link above. As everyone is so busy, I have watched this and include key takeaway messages which I have summarised from comments made. I have had a My Health Record for three years now, and when I applied you needed to have all your key documents with you and it was a cumbersome process. There was not much data on it but it is increasing. I personally feel like Facebook knows more about me that the Australian Government ever will. My Health Record is a necessary step towards simplifying our complex health system and literally saving people’s lives by the access to key information about allergies and medications. However, as it was mentioned several times in the webcast, people’s care will be impacted by certain things – mental health diagnosis, drug and alcohol history and on and on – for myself personally this is not an issue and it is important to consider your own circumstances. If in doubt, opt out. How easy the privacy controls will be for someone with no or low literacy or minimal computer access is not really considered, as in so much of how our systems work. On Wednesday 28th March, one day late, the Senate Inquiry into the “Number of women in Australia who have had transvaginal mesh implants and related matters” handed down is final report. The Senate Inquiry was championed by Derryn Hinch, who called pelvic mesh “the biggest medical scandal for Australian women since thalidomide in the 1950s and 1960s, when kids were born without arms and legs”. There are a few glimmers of hope for mesh-injured women in the report – but the wording used in the recommendations are so weak that it could, if not followed up by robust policy change, give Australian health authorities, specialists and primary carers permission to carry on as usual. This article summarises the Inquiry Report and highlights the critical importance of always asking the questions you need to provide informed consent. It is simplistic to say that your doctor only has your best interests at heart. There are many other factors at play, as this pelvic mesh scandal has shown. I presented with mild stress incontinence with exercising and 2 years on I have total and uncontrollable urinary incontinence. I have had multiple hospital admissions, surgeries, invasive investigations and a total loss of my pride as a woman. Name withheld, Submission 458, p. . I dragged myself to work each day and on weekends I was bedridden. I was unable to do normal things like shopping, cooking and housework without debilitating pain and fatigue. My relationship with my family, friends suffered as I could not handle social activities. Not being able to care for my new grandson broke my heart. Surfing was impossible and walking the dogs or doing other light physical exercise was just too painful. Name withheld, Submission 67, p. 1. To this day, women will still be told “it’s not the mesh” by their GPs and specialists. Even by clinicians working in Mesh Clinics. confirm that the individual patient has understood the information discussed. I was told by my implanting surgeon that I would be back at the gym within 10 days post implant procedure and that I would be like a 16-year-old virgin after the implants. Committee Hansard, 18 September 2017, p. 1. …based on my experience and that of many other women in this town, I would not trust surgeons to report complications or gather accurate research data. We all have similar stories of complications, including crippling pain and terrible bowel and bladder symptoms, which were trivialised or denied, and we were told we were the only one with an adverse outcome, that it was our fault that our body had reacted to the mesh. We were abandoned by our surgeon and left to cope as best we could. Kathryn, Committee Hansard, 19 September 2017, p. 4. The problem is acknowledging the symptoms in the first place, though. There are a lot of GPs who won’t acknowledge it and there are a lot of gynaecologists who won’t acknowledge it… How can they report it if they’re not acknowledging that your pain and complications are from your mesh? Carolyn Chisholm, Committee Hansard, 25 August 2017, p. 9. Although I am interested in reporting the adverse events I have experienced to the TGA, the TGA Users Medical Device Incident Report is daunting and I simply do not have the detailed information they request for device identification… I have encountered obstacles in trying to obtain my medical records. Name withheld, Submission 477, p. 3.
medical specialists. Associate Professor Christopher Maher, Committee Hansard, 19 September 2017, p. 30. What about women who have been injured by mesh? Every aspect of women’s lives are impacted when there are severe complications. Inability to work means significant economic disadvantage. Sexual dysfunction can mean the end of a relationship. Pain robs life of its quality. Accessing medical assistance is hugely problematic when there is a lack of acceptance that the symptoms are related to mesh, and the lack of actual services. Mesh removal services are very patchy, and some women were advised that mesh removal would mean a colostomy for life. Women have voted with their feet and travelled to the US to access specialist mesh removal care which has not resulted in this awful choice between removal and a functioning bowel. The surgery is significant and the outcomes are uncertain. There is no guarantee the debilitating pain will cease once the mesh is removed. The Health Consumers’ Council of WA is aware that many women impacted by mesh implants are seeking full removals, not partial removals. The reality is at present that there are few surgeons, if any, who can perform full removals in Australia. Women have completely lost trust in the clinicians who implanted them in the first place now assuring them that the mesh will be fully removed. Since the Inquiry has finished, we are aware of women who have sought imaging after enduring full removal procedures only to discover there is still mesh inside them. Women in Western Australia are referred to this page on the Health Consumers Council website for up to date information. This is an area which is rapidly changing. Please contact HCC on 9221 3422 during office hours if further support is required. Written by Pip Brennan, Executive Director of the Health Consumers’ Council (WA) Inc.
Have you ever considered being a volunteer member of a non-profit board? For a non-profit organisation, it’s been said that effective board service starts with the right match — the right match between an individual with the talent and commitment to make a difference and an organisation that is in need of that individual’s unique blend of skills and attributes. The Health Consumers’ Council is currently seeking full board members and subsidiary officers to join its Board. If you’re interested, please complete the EOI found here: 2017 HCC Board of Management Expression of Interest and email to: info@hconc.org.au by 31/10/17. A Full Board Member is a person who has been appointed and/or elected to the Board of HCC, He or she is the equivalent of a Company Director in the for-profit sector and, with other members of the board, has a fiduciary and statutory duty to govern the Association within the law and in the best interests of all stakeholders. Full board members may in exceptional circumstances, be exposed to one or more personal liabilities arising from the conduct of the Association and its business. Board members are elected by the general membership at the Annual General Meeting of the Association. The next AGM is 8 November 2017. A Subsidiary Officer is someone who is appointed by the full board to bring special skills and experience to the board meetings to assist the members to govern the Association appropriately. Subsidiary Officers have no statutory duties and are not exposed to the possibility of any personal liabilities other than any which may arise from failure to do his or her common law duty to serve the Association in a professional and reliable manner. In his recent presentation at Black Swan Health’s symposium, Executive Director of Orygen (the National Centre of Excellence in Youth Mental Health) and 2010 Australian of the Year, Professor Patrick McGorry highlighted the shocking impact that mental illness has on the economy and the need for youth early intervention services to reduce its economic and social burden. According to Professor McGorry, mental illness accounts for 16% of Australia’s total economic health burden, ahead of cancer and cardiovascular disease. Despite its dominancy, just 5% of Australia’s federal health budget is allocated to mental health initiatives. For Australians aged 12-30, mental health issues are more significant than all other health issues combined, so it is young people that suffer the most from the lack of funding – often at a pivotal developmental stage in their lives. As Professor McGorry outlined in his Perth address, there is a higher economic impact caused by debilitating mental illnesses in young people, as it disrupts their level of education and long-term future employment prospects. Early intervention is consistently more effective for mental health recovery, and with early adulthood being the peak onset for mental illness, youth early intervention mental health services are essential to Australia’s social and economic wellbeing. This is why Black Swan Health and Professor Patrick McGorry are passionate advocates in this area. Professor McGorry led the way in the development of headspace – a free, youth-friendly mental health service for 12-25-year-olds across Australia; as well as the headspace Youth Early Psychosis Program (hYEPP) – the only comprehensive, free and accessible service for treating early psychosis in young people in the Perth north metropolitan region. Black Swan Health’s headspace centre in Joondalup is the primary hub for the hYEPP program. It is also delivered from headspaceOsborne Park and Midland. The early intervention model minimises the impact and prevalence of psychotic symptoms on the young person’s daily life, enabling them to maintain or return to their regular activities with as little disruption as possible. If you know a young person who’s having a tough time, let them know about headspace today. Young people can access the services directly through headspace. Alternatively, a referral from a general practitioner or other mental health service-provider is all you need to access hYEPP.